The lens is big and very well built! 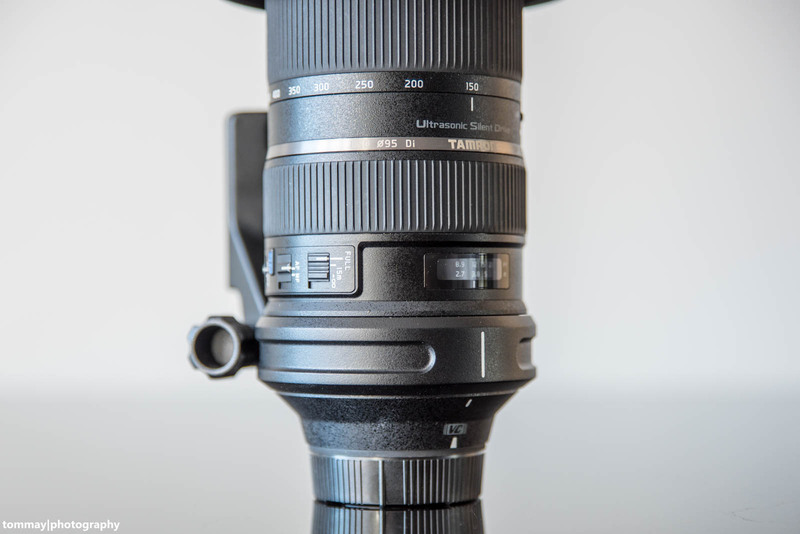 The tube is mostly made of high-quality plastic with rubber zoom and focus ring, a metal tripod collar and a metal mount with the now Tamron-typical rubber lip around to prevent moisture from getting into the camera between the mount and the bayonet of the camera. At the left side of the lens, next to the tripod collar, there are three switches (Focus range limiter – Full/15m to infinite, AF/MF switch, VC on/off switch) which all are very nice to use and heavy enough to not be accidentally moved. 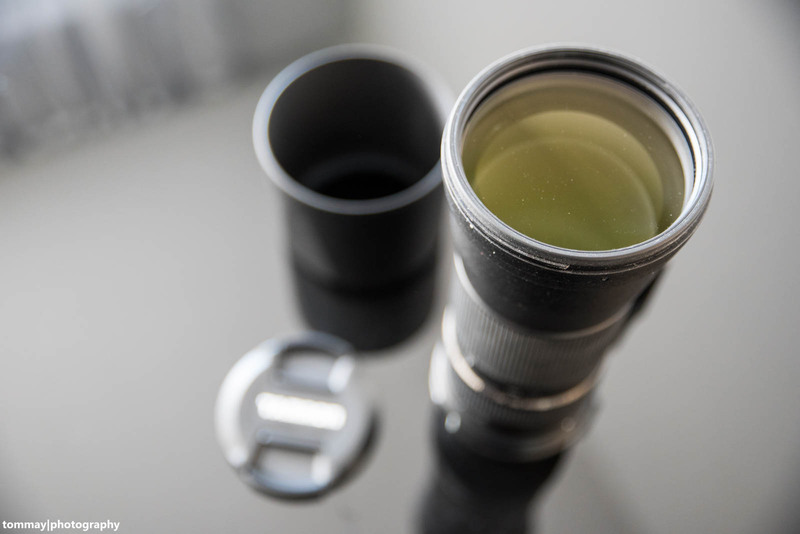 In the same lens tube element, you find the distance scale at the top. There is also a lock switch at the zoom ring to secure the lens at 150 mm. This prevents the tube from extending when transporting the lens. The rubber focus ring is smooth, easy to use and also very precise – I am using it very often to fine-tune the focus point. The zoom ring is a bit stiffer and handheld, due to the size of the lens, not exactly easy to use. But I personally don’t have a problem with that. The lens is heavy with 1952 grams. I recommend using it with a mono- or tripod. Of course, you can use it handheld (I have done this several times), but it is very tiresome due to the combined weight of camera and lens (in case of my Nikon D750 almost 3 kg). The front element of this lens is also very big. If you use filters, which is no problem because the front element is not turning, you have to buy expensive 95mm filters. But due to the zoom range of the lens, it is no surprise that this element is so large. The plastic lens hood does its job as expected. Color Rendering: The colors are very good. It produces neutral to warm colored images. Sharpness: From 150mm to about 450mm the sharpness wide open is very good. From 450mm to 600mm it is good. Stopped down to F8 the sharpness throughout the zoom range is excellent. Bokeh: The bokeh at the minimum focus distance is very pleasing and smooth, at other distances it gets a bit nervous. Flares and Ghosting: Until now I didn’t use the lens for photographs against the sun (except evening sun) or strong light sources, I will add this in a short time. In all my other pictures I didn’t find any flares or ghosting issues. In night photography in the city with all the city lights, I also didn’t find any issues. C/A: Throughout the zoom range I do not have any problems at all with C/A. In those rare cases when I found C/A they were very minor and hardly visible and easy to correct in the editing. Distortion: Until now I didn’t find any distortion at all. If there is any, it is so minor, that I do not notice it. Vignetting: Vignetting is visible wide open, but gets better if you stop down to at least to F8. The VC of the Tamron SP 150-600 F5-6.3 VC USD works very well. I managed to get sharp shots at 600mm handheld at times down to 1/125 of a sec. In lower zoom ranges around 150mm to 300mm I get sharp shots down to 1/30 and 1/60 of a second. Tamron typical you have to wait approx. 1 sec after half-pressing the shutter to get the best results with the VC. 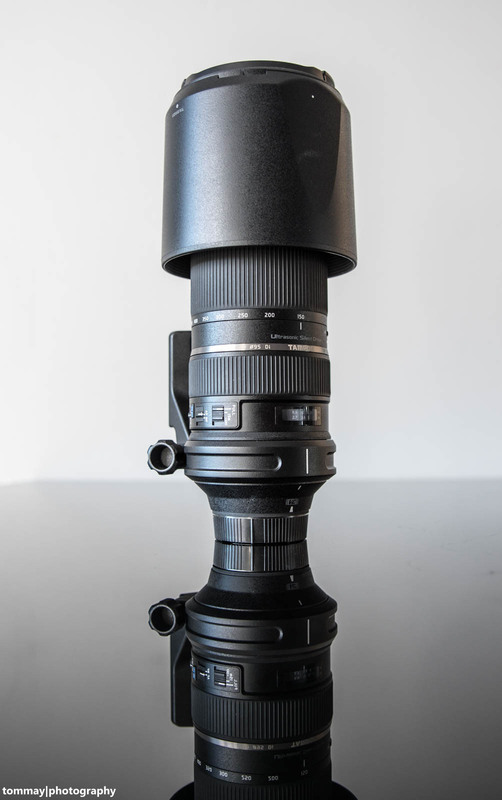 The USD works reasonably quick and precise for a lens of this size. At 600mm it can hunt a bit in darker areas. On my Nikon D750, I didn’t notice any front- or back focus throughout the zoom range. 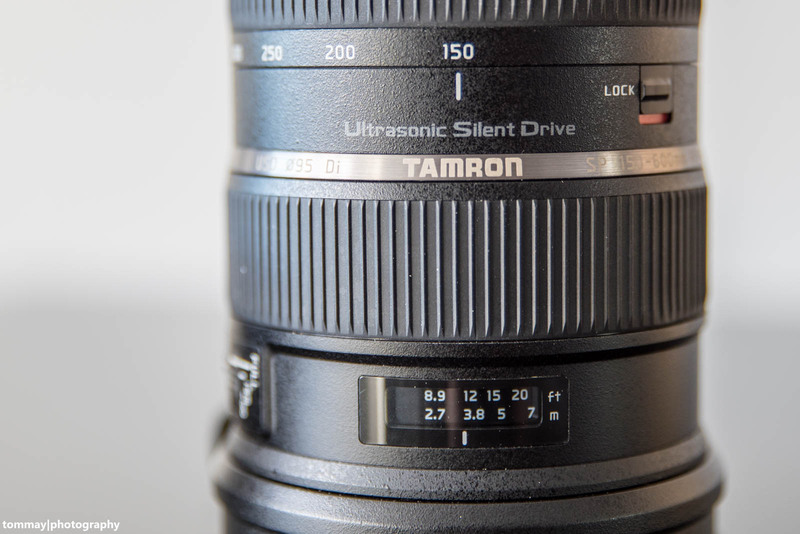 The Tamron SP 150-600 F5-6.3 VC USD is a very good supertele zoom lens. If you want the reach of 600mm I can totally recommend it. At 600mm, you can only get more sharpness from the very expensive prime lenses from Canon or Nikon. 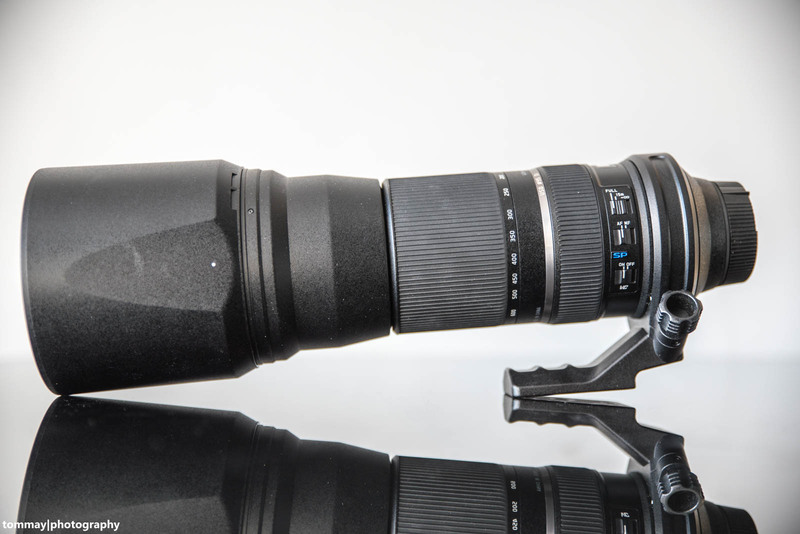 The Sigma 150-600 Sport is only a little bit sharper at 600mm and has the higher price. The overall performance is really good and you will have much fun using this lens with a mono- or tripod. Handheld use is possible but at a longer timespan very tiresome. You also get the Tamron 5 or 6 years warranty (depends on where you live) which is a very nice bonus. Full size samples in my gallery on Flickr!